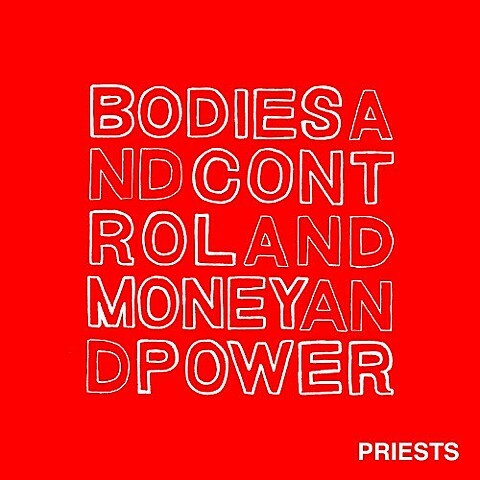 As discussed, DC punks Priests signed to Don Giovanni for their debut LP, which they’ve since announced is called Bodies and Control and Money and Power and will be out on June 3. They just released the album’s first single, “Right Wing.” It’s a lot calmer and more of a mid-tempo rocker than some of their more abrasive cuts like “Leave Me Alone,” but still powerful in its own way. Check it out, along with the LP artwork and tracklist, below. As previously discussed, Priests are touring with UK punks Good Throb this year, and hitting NYC on April 5 at Death by Audio for a stacked bill that includes Nuclear Spring, La Misma and Exit Order. Since we last spoke, that tour’s been expanded and now also includes another Death by Audio show on April 18 which sees Priests and Good Throb joined by Brooklyn’s Household and Arm Candy (who they’ve played with before). 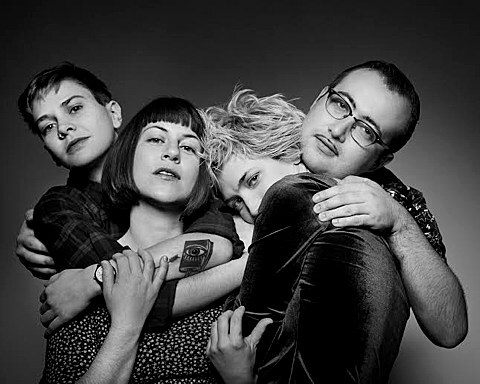 Before that tour starts, Priests will be at the VW Dome of MoMA PS1 this Sunday (3/30) for the venue’s ‘Sunday Sessions.’ This week’s installment will be “an afternoon of discussion and music surrounding feminist punk rock with artists who embrace viceral and engaged performance underlined by socio-political critique” and also includes Olga Bell (Dirty Projectors), Allison Crutchfield & Kyle Gilbride of Swearin’, and Downtown Boys. The artists will be in discussion with Pitchfork’s Jenn Pelly. Tickets are on sale now.